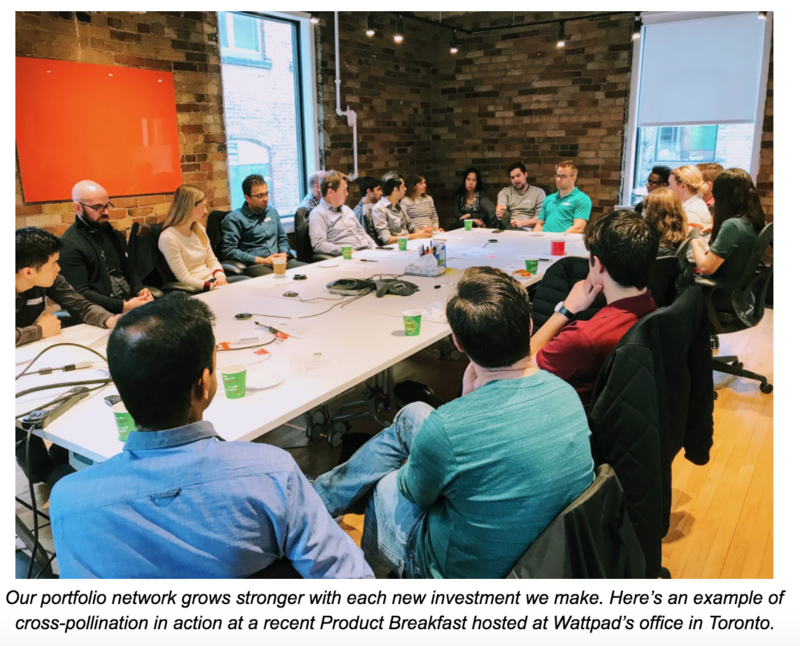 Imagine that you are the first finance leader hired at a 25-person, Series A startup. Chances are, there won’t be another person on your team for awhile, so you can count on personally managing all of the systems needed to get your business through the next two fiscal years. Naturally (as things never go smoothly), within your first six months, you find yourself caught between mitigating future audit risk and restructuring client billing, all while trying to process payroll on time. You’ve been trying to find time to research new account systems so you are prepared to scale with the business but just haven’t found the time. 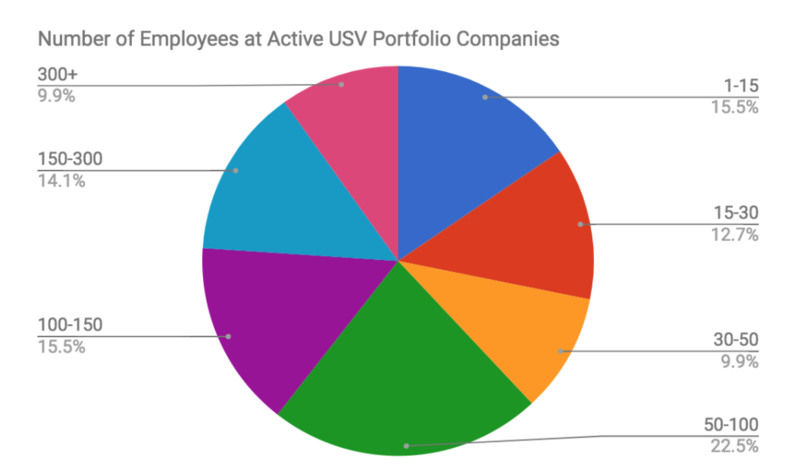 Across our active USV portfolio network of 70 companies, it’s highly likely that there’s at least one other person thinking about some of those same challenges. Our goal is to design an experience that makes it as easy as possible to find that individual and get your questions answered. Here’s how we leverage our network to forge meaningful connections for our 8,000+ portfolio network members. Today, the largest company in our active USV portfolio network has just over 700 employees; our smallest has only four people. Despite the varying industries, sizes, and stages of each company in our portfolio network, our companies have one indisputable thing in common: They move fast. Whether it’s preparing for a new product launch, embarking on a hiring spree, or re-architecting the system backend to be localized, the companies in our USV network are running a mile a minute. The worst thing we could do with the USV network is slow them down. To that effect, our network programming sets out to enable two key functions: Information routing and collaborative ideation. To route information and resources through our network as quickly as possible, we capture relevant datapoints about what our network members are thinking about, then facilitate introductions to people thinking about the same business needs. This may happen via Slack (where over 80,000 messages have been sent in the past 2 years alone), via in-person meetups, or through direct introductions. This year, we have already connected more than 300 USV network employees to each other in direct, 1-to-1 introductions. These introduction topics range from “Help me think through my new system architecture” to “Help me find a new technical recruiter” and “Help me find people thinking about mobile retention best practices.” By keeping our pulse on what people across our network are thinking about in real time, we can help employees across every level of a company find somebody else who may be puzzling through a similar challenge. To facilitate collaborative ideation among our portfolio network members, we bring people together for day-long discussions with peers to offer a new perspective, share challenges, and yes, even vent on similar frustrations. At these day-long events (called summits), we crowd-source discussion topics and ideas from our network members, then lean on them to drive discussions. By the end of 2017, we will have facilitated over 100 events for employees at USV portfolio companies, tailored to everyone from executives to executive assistants. You may be wondering about how we encourage an environment of transparency and trust among so many different companies at once. Given that our companies are building business models in different areas or sectors, business leaders across all functional areas readily swap tips, pitfalls, and lessons learned. It also helps that many of our companies also share common growing pains associated with managing large networks of users, data, or information. Sometimes, in the case of broader topics that affect many businesses the same way, our portfolio companies team up to tackle these challenges in tandem. This year alone, the natural connectors within our network have stepped up to host nearly a dozen diversity & inclusion roundtables, a shared policy list, and workshops on narrower topics, such as PR and communications best practices. Think back again to the conundrum you faced as the only finance hire at a 25-person company without enough hours in the day to tackle all of the problems on your plate. It’s hard to be the first person (often, the only person) doing your job at a company. For many, it makes the leap from a larger business to a startup downright terrifying. But we hope the strength of this network makes every new employee feel a little bit more like they have the security of a larger organization. In this example, by leveraging our USV finance network, you can immediately get your question in front of 100+ finance professionals, all working at fast-paced startups, each coming from a different background. Chances are, at least one other person in this network has researched and identified billing systems for their company. And given your overlapping company stages, a one-hour introductory call may save you 10-15 hours of your own research time. We see network connections happening across all levels of our organizations. Just this week, we called on the VP of HR at one of our later stage companies to lead a discussion for 20 people leaders at different companies about year-end performance reviews and best practices. In December, in anticipation of the new GDPR compliance policies that will impact nearly all of our companies next year, a trust and safety expert from our network stepped up to lead a workshop for our companies to work together on this process. At each point in a company’s life cycle, new changes, challenges, and problems surface. Our USV network is here to help companies grow collectively smarter and learn on each other through these changes. If we’re doing our job right, with each new investment we make, the experience of being an employee at a USV company gets a little bit better. This is the power of network effects at work.